How do I know if I'm buying the right used forklift? 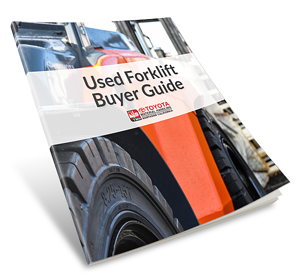 There are many important factors to consider when purchasing a used forklift or other piece of industrial equipment. We decided to wrap them up all in one place to help you make the best choice for your business. How many hours is considered "high" when looking at a used forklift. When is a forklift considered worn out? How does the price of new compare to used in the current market? All of these questions and much more are answered in our exclusive Used Equipment Buying Guide. Fill out the form and immediately receive our free guide.